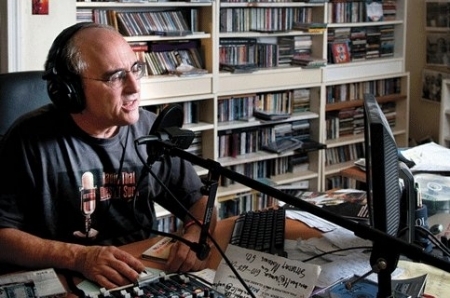 Longtime Philadelphia Rock Radio DJ, Michael Tearson will bring his unique style of Radio to iRadioPhilly, an online radio group serving Philadelphia. The show will be called "Michael Tearson's NEW Marconi Experiment." Tearson, a Philadelphia rock radio legend and pioneer will have complete creative freedom over the show. Listeners can tune in on the website at www.iRadioPhilly.com or on FREE smartphone Apps for iPhone and Android. With Michael Tearson's radio roots reaching back to the 1960's, he promises a listening experience reminiscent of the early freeform days of FM Radio in Philadelphia, the site of the original Marconi Experiment. Michael Tearson's NEW Marconi Experiment is a 60 minute menagerie of music and words that will air Saturday mornings, beginning March 23rd at 8 am on iRadioPhilly's Classic Rock station, "Ziggy." The show will repeat on Sunday evenings at 6 pm on iRadioPhilly's Adult Alternative station "Libra." The first 5 weeks will be "previews" leading to the "official" premiere the weekend of April 27th, just days before the 45th anniversary of the launch of the original Marconi Experiment. While the show will primarily base itself in music from that period of the psychedelic days, it will also incorporate other music that fits, “music that matters” as Michael calls it, as well as spoken word elements and other whimsical stuff to delight the ears. “It is gonna be a wild, fun ride reviving the Marconi Experiment,” says Michael who also notes he has spoken about the new launch with Dave Herman (now living in St. Croix) who was delighted to hear of it. Michael Tearson reports Herman has given his blessing with utter delight to the new Experiment, and that Dave Herman sends his profound love to those in Philadelphia who made his stay here a career changing delight, one of the best times in his life. April 29, 1968 was the day everything changed in Philadelphia radio. That was the day WMMR and DJ Dave Herman launched the Marconi Experiment, WMMR’s first venture into album rock. Herman’s reference to Guglielmo Marconi paid tribute to the man credited as the inventor of radio. Meanwhile across town, WDAS-FM’s “Hyski’s Underground” also first took to the air featuring host Hy Lit. These were exciting, heady times for FM Radio marked by a thrilling spirit of exploration and discovery. Michael Tearson had already begun broadcasting progressive rock the previous fall on WXPN’s campus AM at the University of Pennsylvania and then in January, 1968 on WXPN’s FM signal, the first rock to air there. In January, 1970 WDAS-FM hired Michael Tearson to do overnights. Then in June Tearson moved to WMMR to be music director and DJ. Herman (the one name moniker Dave assumed for the Marconi Experiment) left WMMR for New York City in February, 1970 replaced by Michael Cuscuna who himself left for NYC that September. At that point Michael Tearson took over the Marconi Experiment shift. In his first break of his first show after Boz Scaggs’ “I’ll Be Long Gone (Gonna Get Up and Make my Light Shine)” he introduced himself and added “The Marconi Experiment is over! It was a success. Now we’re playing for real.” Under Michael’s stewardship the late night WMMR show became a Philadelphia phenomenon recognized nationally as one of the best FM rock shows anywhere. UPDATE: As of 3/12/16, the Marconi Experiment will air on The Plateau on Saturday 8 am and Sunday 6pm.